Cardone is announcing do-it-yourself consumers to enter The CARDONE Ultra Car Giveaway Sweepstakes with a 2015 Mustang GT as a grand prize. You can find the details of these sweepstakes here. 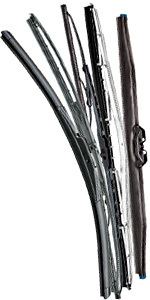 RockAuto is selling a Wiper Wholesaler Closeout Sale on Windshield Wiper Blades from Trico (various styles and sizes) , the price starts as low as $1.27. Shipping costs at ~$5.95 for single quantity and increases slightly for each additional quantity so it’s better to order in multiple quantities to get maximum savings.